With over 30 children to work with and 8 days later the CCTA Staff had them performing a 90 minute show consisting of 20 different scenes of the "The Little Mermaid". The show was performed in Ellicott City at the St. Johns Church building. 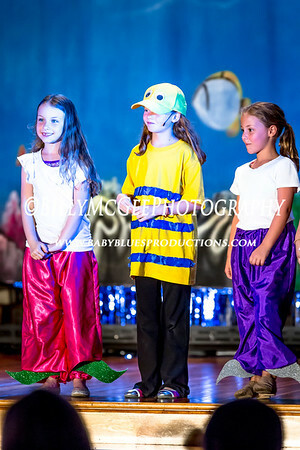 Sydney and the rest of her cast mate friends were just having lots of fun while on stage, where there was constant changing of roles that each of the Children would do, as Ms. Beth says "follow the costume" throughout the show. Hat's off to Beth Rosas and her very talented staff of Music Director, Assistant Directors, Stage and Light Crew and Parent volunteers that made all of this possible!